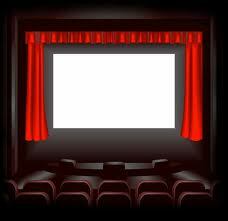 Home Department - Cinemas - Andhra Pradesh Cinema (Regulation) Rules, 1970 – Amendment – Orders –Issued. The following notification will be published in the Extra-ordinary issue of the Andhra Pradesh Gazette, dated -08-2013. In exercise of powers conferred by sub-section (1) of section 6 and section 11 of the Andhra Pradesh Cinemas (Regulation) Act, 1955 (Act 4 of 1955), the Governor of Andhra Pradesh hereby makes the following amendments to the Andhra Pradesh Cinemas (Regulation) Rules, 1970 issued in G.O.Ms.No.1273, Home (Endowments. II) Department, dated 14th August, 1970 and published in Rules supplement t Part-II of the Andhra Pradesh Gazette dated the 27th August, 1970 and as amended from time to time. The amendments shall come into force with effect from the date of publication in the Andhra Pradesh Gazette. (i) Entry or Exit gate with 04.50 Mtrs. width and 05.00 Mtrs. height clearance for the entry of Fire Vehicles. (ii) Removal of obstructions / Structures and fixtures, viz. Ticket Counters, Canteen, Parking Shed, Pan Booths in the available open spaces to the extent of 2/3 from front for Fire Vehicles access. (iii) Installation of Emergency lighting with 4 hours Battery Back-up and provision of Auto-Glow Exit Signage. (iv) Screening of short duration film on Fire & Life Safety before the commencement of each show. (v) Training of all employees and security personnel in the use of available Fire Fighting Equipments. (vi) Installation of Public Address System to issue warning in case of Emergency. (a) Fire Extinguishers & Fire Buckets as per IS 2190. (b) Manually Operated Electrical Fire Alarm System. (c) Down Comer with Hose Reel connected to Terrace/ Over head tank. Basement exceeds 200 Sq. Mtrs. (f) One Electrical Fire Pump of 450 LPM capacity at Terrace. (h) The NOC issued by the Fire Services shall be valid for three years subject to collection of the fee of Rs.10,000/- per year i.e. total Rs.30,000/- for three years. (i) Entry or Exit gate with 04.50 Mtrs. width and 05.00 Mtrs. height clearance for the maneuverability of Fire Vehicles. (vii) Minimum two staircases shall be provided for the balcony located in 1st Floor. (c) Down Comer with Hose Reel connected to Terrace / Over head tank. (d) Automatic Sprinkler System in the Basement if area of Basement exceeds 200 Sq. Mtrs. (e) Terrace / Over head tank of 10,000 Ltrs. either RCC (or) PVC tanks. The construction of combined Fire Fighting and domestic Water Storage tank as per the provision of National Building Code of India at Figure (36) at page 47 shall be undertaken. If it is not possible structurally, then overhead water tank of 5000 litres and a water tank of 10,000 litres on the ground floor, preferably near the entrance gate. (g) The Generators are allowed in the available Open Space after leaving the Minimum 4.5 Mtrs set back for the movement of Fire Appliances. Height clearance for the entry of Fire Vehicles. (ii) Removal of obstructions /structures and fixtures viz., Ticket Counters, Canteen, Parking shed, Pan Boots in the available open spaces to the extent of 2/3 from front for Fire Vehicles Access. (iii) Installation of Emergency Lighting with 4 hours Battery Back-up and provision of Auto-Glow Exit Signage with separate electrical wiring. (iv) Installation of Public Address System to issue warning in case of emergency. (v) Screening of short duration film on Fire & Life Safety before the commencement of each show. (vi) Training of all employees and security personnel in the use of available Fire Fighting Equipments. (vii) (a) Minimum two staircases shall be provided for the balcony located in 1st floor. (c) The deficiency in the aggregate width of staircases, if any, shall be rectified as below. 􀂾 Reducing the number if seats in the upper floors. (c) Down Comer connected to Terrace / Over Head Tank. (e) Manually Operated Electrical Fire Alarm System. Litres has to be provided. (i) The Generators are allowed in the available Open Space after leaving the Minimum 4.5 Mtrs set back for the movement of Fire Appliances. (j) The NOC issued by the Fire Services shall be valid for three years subject to collection of the fee of Rs.10,000/- per year i.e total Rs.30,000/- for three years. (i) Entry o r Exit gate with 04.50 Mtrs., width and 05.00 Mtrs., Height clearance for the entry of Fire Vehicles. (ii) Removal of obstructions /structures and fixtures viz., Ticket Counters, Canteen, Parking shed, Pan Booths in the available open spaces. (vii) (a) Minimum two staircases shall be provided for the balconies located in upper floors. shall be rectified as below. basement if area of basement exceeds 200 M2. (f) Automatic Detection and Alarm System. (h) Terrace Tank of 10,000 Ltrs., capacity. (k) The Generators are allowed in the available Open Space after leaving the Minimum 4.5 Mtrs set back for the movement of Fire Appliances. (l) The NOC issued by the Fire Services shall be valid for three years subject to collection of the fee of Rs.10,000/- per year i.,e total Rs.30,000/- for three years. All the fire safety measures as per the orders issued in G.O.Ms.No. 154, MA&UD(M1) Department dated:13-03-2007 and additional Fire safety measures for existing high rise buildings having deficiencies in Set Backs as prescribed by the Government vide Govt.Memo.No.4011/M1/2008 of MA&UD dated:19-05-2008 shall be provided. All the fire safety measures prescribed in the Andhra Pradesh Rules for Constructions and Regulation of Multiplex Complexes, 2007 issued vide G.O.Ms.No.486,MA&UD(M1) Department dated:07-07-2007 shall be provided.